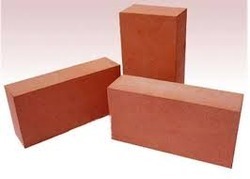 Available in different sizes, our Exposed Wire Cut Bricks are widely used for exposed masonry and making the roof 100% waterproof. We maintain proper schedules for the delivery of bulk or urgent consignments so as to deliver the range in set time and gain utmost customer satisfaction. Owing to our well-established set-up in Chennai(India), we are capable of catering to the requirements of clients with utter ease.